Candidates Say Little On Difficult Issue Of Housing Despite millions of troubled mortgages around the country, housing hasn't been a major issue in the presidential race so far. Based on what they have said, President Obama and Republican Mitt Romney have more in common than their rhetoric suggests, an analyst says. Despite millions of troubled mortgages around the country, housing hasn't been a major issue in the presidential race so far. Housing continues to be a big issue for the economy, and for many voters. But so far it hasn't been a major issue in the presidential campaign. Perhaps that's because both sides agree that there's no easy fix for the problem of millions of troubled mortgages. Cathy Busby and her husband co-owned a realty office in Denver when they bought their house in 2006. The next year, the market for houses dried up, leaving them with little income as their house lost value. Now, she says, she considers herself "poverty level." The presidential debates come to Busby's hometown Wednesday. And she says she's just one of many voters in swing states who want better housing solutions out of Washington. She says her lender offered three separate loan modifications, only to rescind each one, even though she says she signed and paid everything required. Busby says she and her husband also spent countless hours trying to help some 50 other Denver families negotiate with banks to get their mortgages modified. Not one of those attempts was successful. "I'll tell you what I learned," she says. "It doesn't make any difference what you do. These banks never had any intentions of really modifying loans." Now, some banks did modify loans and can prove it, but lots of people share Busby's view that as an industry, there wasn't much of an effort. The Obama administration has tried — through a variety of programs — to encourage the modification of loans, offering banks both incentives and penalties. In the past year, the administration has pushed for more loan forgiveness. It's backing a bill in Congress that would reduce fees for refinancing. Speaking in February in Virginia — another swing state — President Obama unveiled a refinancing program for those who are underwater but still current on payments. "Too many families haven't been able to take advantage of the low rates, because falling prices lock them out of the market," he said. 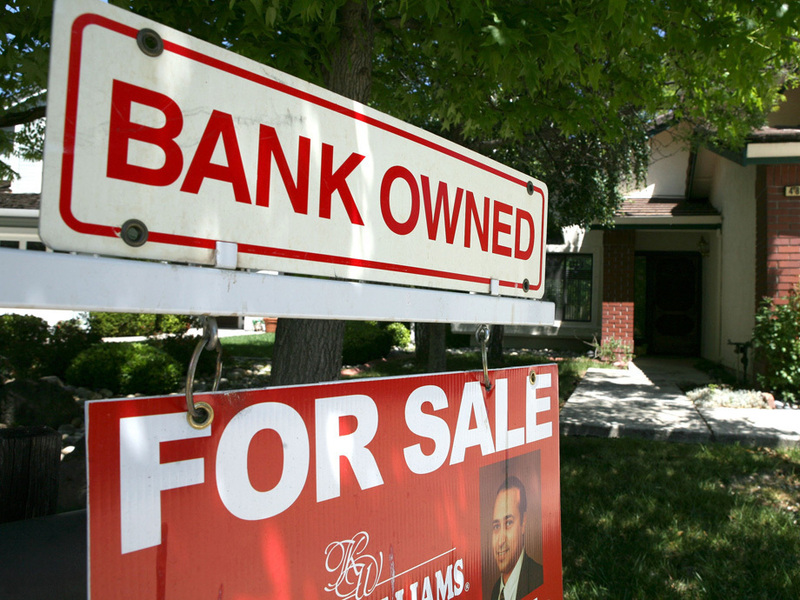 Michael Barr, a University of Michigan law professor, former Treasury official and surrogate for the Obama campaign, says that since the president took office, 16 million homeowners have refinanced, and 5 million more have modified their loans, through either a government or bank program. In a second term, Barr says, the president would both fine-tune existing programs and ensure that the new Dodd-Frank financial regulations create a strong safeguard for future homeowners. "There is no silver bullet," he says. "There are lots of things that need to get done. Each homeowner's circumstance is somewhat different. And trying to figure out how to get them help is, I think, a more complicated and difficult task than would be reflected in a bullet point or a sound bite." Late last fall, in an interview with the Las Vegas Review-Journal, Republican presidential candidate Mitt Romney seemed to dismiss the government's efforts to modify loans. "Don't try and stop the foreclosure process, let it run its course and hit the bottom, allow investors to buy homes, put renters in them, fix the homes up and let it turn around and come back up," he said. Former Republican Rep. Rick Lazio of New York, a spokesman on housing for the Romney campaign, says Romney would not abandon modification or refinancing programs. But he would focus more on rolling back new financial regulations, as well as on winding down mortgage giants Fannie Mae and Freddie Mac — a process the Obama administration has already begun. "In our view, President Obama's response to the mortgage crisis has been slow, confused and largely ineffective," Lazio says. Lazio says Romney's fix for housing goes beyond specific policy prescriptions. "Jobs and the economic picture is overwhelmingly the most important part of the solution," he says. Urban Institute President Sarah Rosen Wartell says so far, the campaigns have a lot more in common than their rhetoric suggests. "Many of the most interesting questions are places where neither candidate has laid out their direction," she says. Questions about government's role in the housing sector — from regulating access to credit, for example, to whether to eliminate the popular but expensive mortgage interest deduction. Questions that may not affect the immediate term, but could affect how the housing sector will function for years to come.